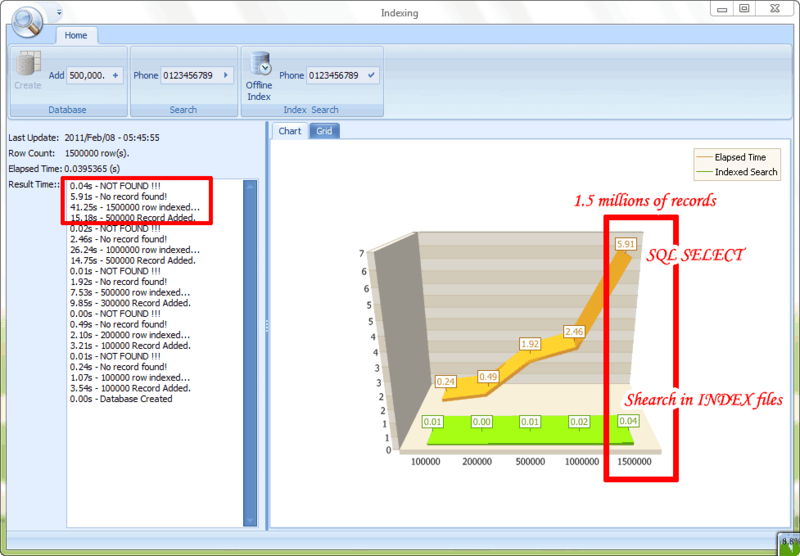 Sometimes, i heard something about slowest searching on some databases. For example last night, i heard about a famous company have an oracle database with one billion records in one table and their software have a HUGE LATENCY for a simple compare search (WHERE Cluse) and they wait more than 15 minutes for results. 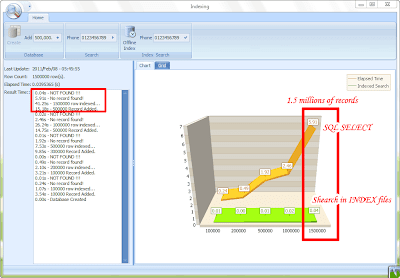 From results was shown, search on index files, with the simplest algorithm, are more than 100 times faster than simple SQL QUERY, in normal situation, with any normalization and indexing, on Microsoft SQL CE database. You can see the process of make a hundered index file base on two charater of start 10 digits phone numbers. 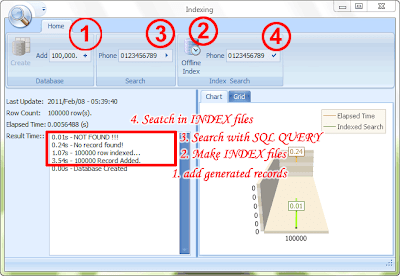 for example if the phone number is 3473380789 then it's store in array and then store in index34.inx file as one of index files.